The 363 miles of Pacific Coast Scenic Byway (Highway 101) is a splendid backdrop for romance. The sheer force of waves crashing into rocks, the rolling mounds of sandy dunes, gray whales practicing their mating rituals, the kiss of a salty breeze, the allure of a moonless night under the Milky Way. This is the opportunity, but it’s up to you take action. No matter the time of year, the Oregon Coast offers natural wonders aplenty, though planning your romantic getaway for fall makes sense. Summer crowds have dwindled, the weather is still mild, prices for some accommodations have dropped, yet you have the same public access to beaches, headlands and about eighty state parks. 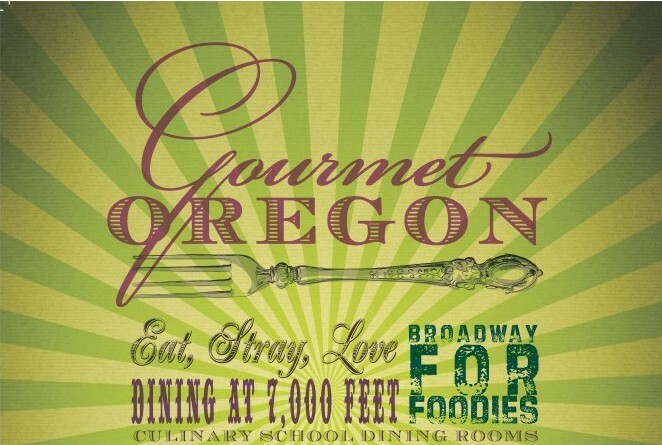 The Northwest’s well-deserved reputation as a foodie paradise and the natural abundance of fresh seafood and locally sourced farm produce translates into added pleasure. 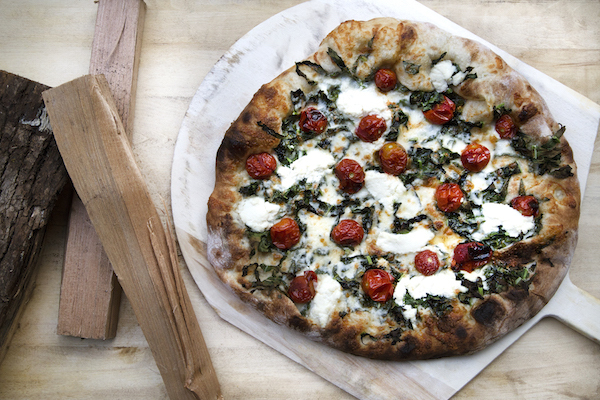 You’ll also find boutique wineries, craft breweries and, yep, chowder. Grab your sweetheart and spend a few days away from jobs, kids, even the dog. 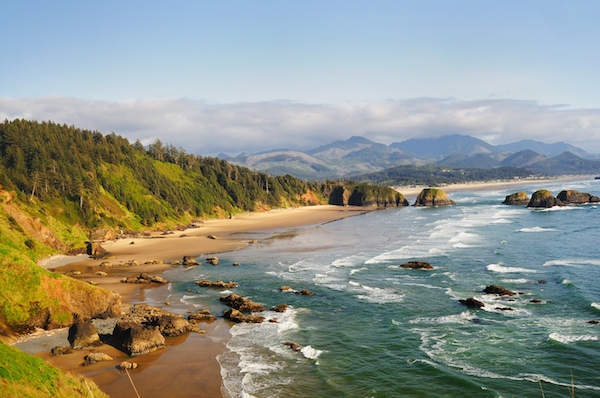 So whatever you love—art, history, outdoor recreation, whale watching, you’ll get your fill of it at the Oregon Coast. 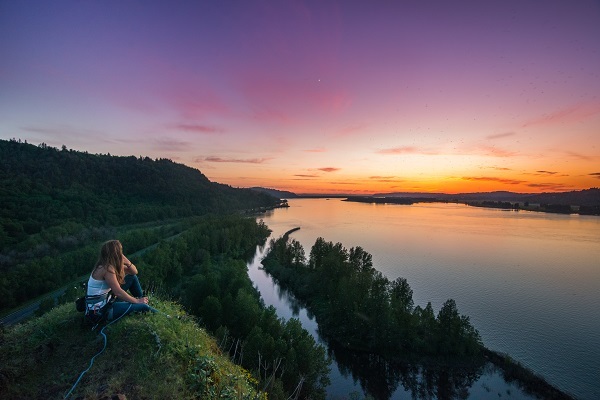 Whether your knowledge of Oregon history is a little fuzzy or your relationship could use some intellectual buzz, a trip to Astoria should refresh both. Start with the Columbia River Maritime Museum, founded in 1962 and expanded in 2002. 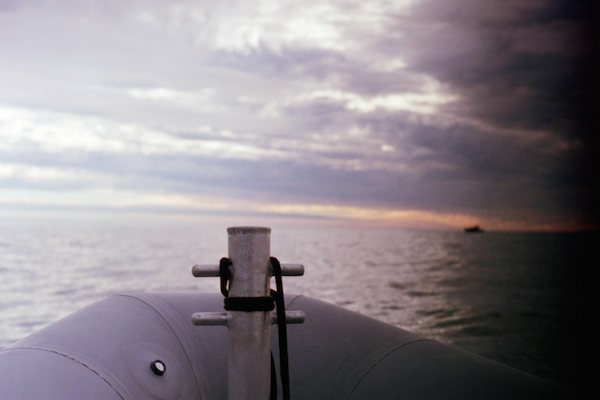 Learn about shipwrecks, tour six galleries with 30,000 artifacts and hear stories of Coast Guard rescues. Walk through the Lightship Columbia, a National Historic Landmark. When you’re done, ride the Astoria Trolley into downtown. In the historic downtown, do a self-guided tour of Victorian neighborhoods, with the jewel being the Flavel House Museum (a Victorian mansion built in 1885). Sip cocktails at two new establishments, North Coast Distilling and Inferno Lounge. North Coast’s proprietor, Lawrence Cary, makes gin, vodka, rum, whiskey, infused spirits and drinking vinegars. The Inferno Lounge on the riverfront serves specialty drinks and liquor infusions to the music of Frank Sinatra. No trip to Astoria would be complete without a bit of Lewis and Clark nostalgia. The Corps of Discovery wintered in Astoria from November 1805 until March 1806, naming its quarters “Fort Clatsop” after the Clatsop Indians who had lived in the area for thousands of years. (When you read accounts of the wet winter, it’s surprising they didn’t name it Fort Miserable.) You can visit a replica of Fort Clatsop, which offers a glimpse of expedition life. The Fort-to-Sea Trail leading to Sunset Beach State Park (six-plus miles) follows a path expedition members likely forged through deep woods, with dramatic views of the Pacific. If you plan to hike only one way, remember to arrange a ride back. 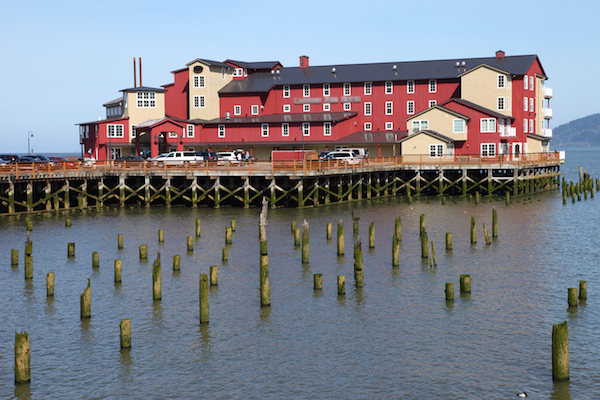 The Cannery Pier Hotel & Spa, listed by TripAdvisor as one of the twenty-five most romantic hotels in the U.S., was built on the site of the former Union Fish Cannery and extends 600 feet into the river. Watch barges, ships and other river traffic pass by your room. 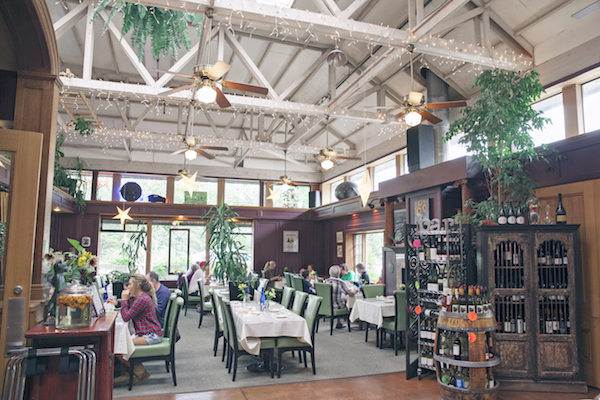 For a romantic dinner, make reservations at either Bridgewater Bistro near the Cannery Pier Hotel or cross the Astoria Megler Bridge to Seaview, Washington, and eat at the Depot Restaurant, a converted historic train station. At either place, try the oysters from nearby Willapa Bay. Only a ninety-minute drive from Portland, Cannon Beach is an easy escape for couples who love art, nature and hand-crafted food and libations. This quaint village runs along a beach loop off Highway 101. The compact downtown is perfect for gallery touring, shopping and eating. The city spreads out to the south, passing iconic Haystack Rock which rises 235 feet offshore. Dedicate a few hours to gallery hopping. Invest in an original water color from Jeffrey Hull at his gallery or select a fun and colorful souvenir at DragonFire Gallery. Other galleries showcasing contemporary Northwest artists are Cannon Beach Gallery, Haystack Gallery, Archimedes Gallery and White Bird Gallery. The Bronze Coast Gallery specializes in limited-edition bronze sculpture and has an international following. Stop in at Jewelry by Sharon Amber and George Vetter FotoArt. A favorite tourist spot is Icefire Glassworks south of downtown where visitors can watch the art of glass blowing. After you’ve fed your creative longings, it’s time to feed the body. Join the line at Sleepy Monk for locally roasted organic coffee and specialty drinks. Return in the evening to the adjoining Irish Table. “We had one of our best meals anywhere,” said Malcolm Hastings, who ate there with his wife, Linda. They loved the curry steamed mussels, roasted beet salad and seared flatiron steak. Ask your waiter to select a bottle of vino to complement your meal. For a new take on getting hammered, pull up to the bar at the Cannon Beach Hardware and Public House for a cold microbrew, and while there, pick up plumbing supplies for that leaky faucet at home. At Laurel’s Cannon Beach Wine Shop, ask Laurel for tastings of her current favorites and buy a bottle to take to the beach later. 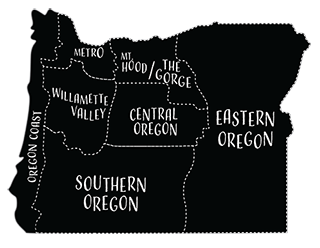 One more purveyor of fine libations is Cannon Beach Distillery, which produces innovative, small-batch spirits. Proprietor and distiller Mike Selberg has won national awards for his amber rum, light rum and Il Keyote, an agave spirit. Sleep off your indulgence at either Stephanie Inn or Ocean Lodge, both luxury-class hotels near Tolovana. Condé Nast Traveler named Stephanie Inn among the top twenty resorts in the Northwest in 2014. The Ocean Lodge is built in the style of a 1940s lodge resort. Both overlook Haystack Rock and the Needles, and guests lack for nothing. After all the eating, drinking and art walks, take a nature break at Haystack Rock or Ecola State Park. The Clatsop Loop Trail at Ecola is a two-and-a-half-mile loop that starts at Indian Beach, climbs up to Hikers’ Camp and passes views of the Pacific. 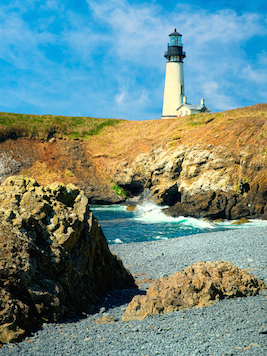 Take a short spur trail near Hikers’ Camp to see Tillamook Rock Lighthouse. Return to the parking lot on the Oregon Coast Trail. All in rocky areas, they include Haystack Rock, Cape Kiwanda, Otter Rock, Yaquina Head ($5 vehicle entrance fee), Yachats State Park, Cape Perpetua and Harris Beach State Park. Their purpose is to teach people about plants and animals that evolved in this ecosystem. 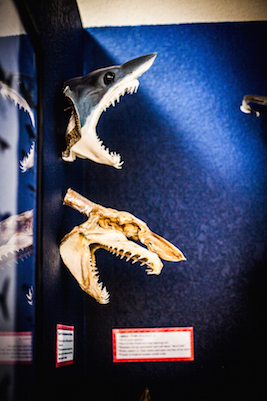 Each site has interpretive information—from signage to volunteers who lead tours and answer questions. Their protected status means marine gardens are off limits for harvesting invertebrates, seaweed and other plants. A couple of exceptions exist, so check first with the Oregon Department of Fish and Wildlife before removing anything. Some common-sense about safety: Visit an hour before low tide and return to higher ground before the incoming tide strands you. 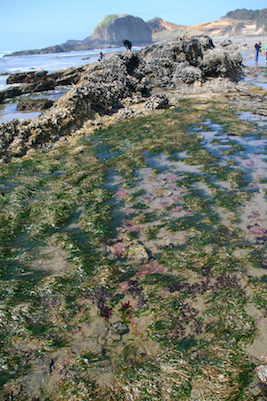 Be aware that wet, algae-covered rocks are slippery. Stay away from seal pups, and leash your dogs. This is a fragile environment where it’s best to tread lightly. Travelers who pass through Depoe Bay on their way to Newport or Lincoln City miss one of the best places on the coast to slow down—read a book, contemplate your partner’s navel, watch boats cross the channel in what is touted as the world’s smallest navigable harbor. It’s also a premiere whale watching venue. September is the best month to observe migratory gray whales that hang around the central coast between June and October, according to Carrie Newell, a marine biologist and owner of Whale Research EcoExcursions. Of the 20,000 gray whales that migrate between Mexico and Alaska, 200 resident grays make a shorter trip to British Columbia and then return to munch on huge swarms of mysid shrimp in shallow kelp beds near Depoe Bay, she said. “A lot of courtship occurs in September,” Newell said. Newell and her team of naturalists lead five daily whale watching excursions (weather permitting) out of Depoe Bay in six-person Zodiacs (one owned by singer Jimmy Buffett). For twenty-plus years, Newell has researched and written books about this particular pod of grays. She knows them well enough to cite their age, parentage and personalities. She also owns the Whale, Sea Life and Shark Museum on the east side of Highway 101. Other whale-watching charters operating out of Depoe Bay, such as Tradewinds, offer guests heated cabins, restrooms and the ability to walk around. Three small but excellent hotels located on the bluffs around Depoe Bay wrap guests in luxury and cozy comfort. Make reservations for the Cuckoo’s Nest at the Channel House, located just south of the bridge for an unforgettable experience—sit over the water on your balcony and soak in the outdoor, jetted bathtub. Its sister hotel, Whale Cove Inn, a few miles south, offers similar amenities, and is perched above the hard-toreach Whale Cove. The Inn at Arch Rock has cozy rooms, and like the other two, serves a continental breakfast. For an exquisite dining experience, reserve a table at Beck at the Whale Cove Inn. Other local favorites include Tidal Raves Seafood Grill and Thai Bay, a small family-run restaurant that overlooks the harbor. Side Door Café eleven miles north in Gleneden Beach is an award-winning restaurant worth the trip. Try to go when the café presents live music at Eden Hall. For sport, see unsuspecting tourists get sprayed by the famous Spouting Horn (blow hole) that shoots saltwater twenty-five feet into the air on stormy days. Mostly, though, this little berg delivers a low-key experience for couples longing for a reprieve from life’s stress. Catch wave after wave on your surfboard at Otter Rock, and when exhaustion and cold creep into your pores, cozy up with your honey in a yurt at nearby Beverly Beach State Park. It’s the fourth busiest overnight campground on the Oregon Coast, so book one of the twenty-one yurts early (if full, try going midweek) or one of the 125 tent sites. It’s a place where romance blooms between the forest campground and the walkway along Spencer Creek that passes through a picturesque arch. 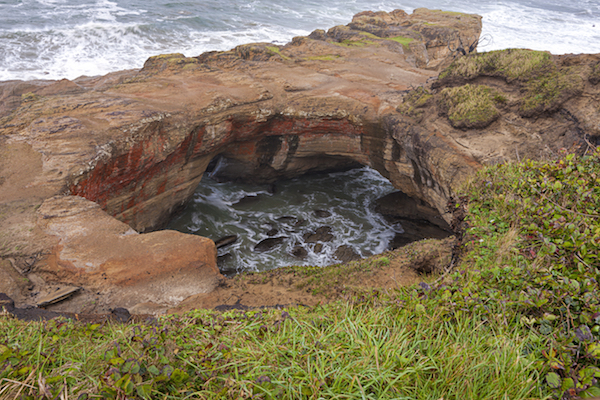 Once under the arch, the beach runs south to the Yaquina Head Lighthouse and north to the Otter Rock headland. Go agate or fossil hunting on Beverly Beach. Longtime Otter Rock resident and surf instructor, Paul Hansen, says the Cowabunga Classic surfing contest held for about a decade in the 1980s and early 1990s revived the “joy and art” of longboard surfing. Today the area is called the Waikiki of the central coast. 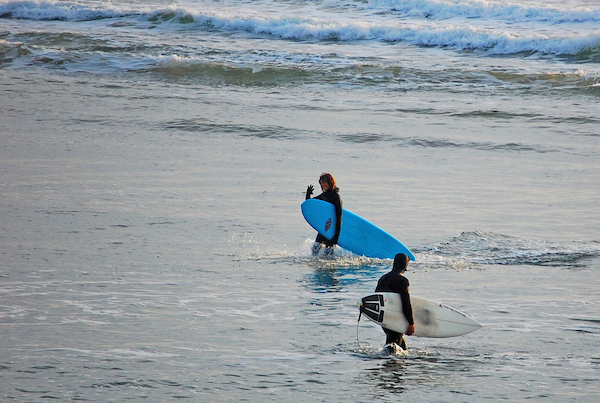 Its swells, protected by the Otter Rock headland, are perfect for beginners and others wanting to improve their skills. Hansen calls it “a surfer’s kiddie pool with a rip tide that surprises people on occasion.” Be advised that surfers must haul their boards up and down 100 steps that lead from the Devils Punchbowl parking lot atop Otter Rock to the beach below. Or take a lesson from Ossies Surf Shop on nearby Agate Beach. If terra firma is more to your liking, hike from the Inn at Otter Crest up the old highway to Cape Fowlweather, named by Capt. James Cook in 1778. The gift shop has been converted to the Otter Crest State Scenic Viewpoint. The reward for this steep hike is panoramic views in all directions. For a thrill, climb into Devil’s Punchbowl from the Otter Rock Marine Garden but only go at minus tide—it’s risky otherwise. Or drive into Newport and bike the eleven miles of Yaquina Bay Road from the Embarcadero Resort to Toledo. It’s an easy roll along the bay with light traffic, tidal flats and plenty of birds. Stop at the Oregon Oyster Company and down some shooters for a seaside protein break. Casual dining is easy to find—Mo’s at Otter Rock (closed between the end of September and March). The Noodle Café on Newport’s bay front serves Vietnamese food, and in the Nye Beach district, order breakfast at Café Stephanie, and lunch and dinner at Nana’s Irish Pub or Savory Café and Pizzeria. This quaint little burg at the mouth of the Coquille River is famous for cranberries, cheese and golf. Couples can hit the links, poke around Old Town or walk barefoot on the sand while marveling at the dramatic sea stacks along Bandon State Natural Area. The Bandon Dunes Golf Resort, which opened in 1999, has elevated the area’s reputation as a must-play for serious golfers. Its four regulation-length courses are consistently ranked among the best public courses in America. 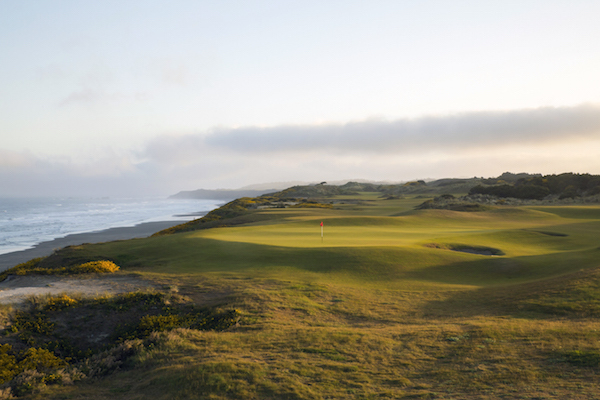 “The courses are simply breathtaking, and players learn to master the winds,” said Malcolm Hastings, of Salt Lake City, who played Bandon Dunes and Old Macdonald in July. “These are magnificent courses for a challenge, the vista and sense of what it might be like to play in Scotland or Ireland.” Players must walk the courses—no motorized carts allowed, but for those who want help with their bags, caddies are available or you can rent a pull cart for $5. The Bandon Preserve, a thirteen-hole, three-par course “is a hoot,” too, said Hastings. The resort also features a variety of overnight accommodations and six restaurants and lounges, rated by guests as among the best in the area. The philanthropic organization associated with Bandon Dunes Resort, Wild Rivers Coast Alliance, is this year’s title sponsor of another local standout, the annual Cranberry Festival, which runs September 11 through 13. In its sixty-ninth year, the festival features a parade, market and street dance, a cooking contest and lots of delicious cranberry-themed foods. For much of the twentieth century, Bandon was synonymous with cheese-making but a buyout by Tillamook Cheese led to the closure of Bandon’s Cheese Factory in 2002 and the eventual demolition of its building. A public-private partnership has returned cheese-making to the site of the former factory. Face Rock Creamery, which opened in 2013, has already gained a national reputation by winning two first place awards from the American Cheese Society for its small-batch cheddars, which can be sampled and bought on site. Okay, Type A folks, here’s one for you. 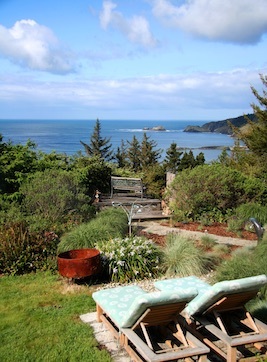 WildSpring Guest Habitat in Port Orford is where your worries will melt away under the fingertips of an expert masseuse or slowly dissipate in the open-air, 1,000-gallon, slate hot tub facing the Pacific. 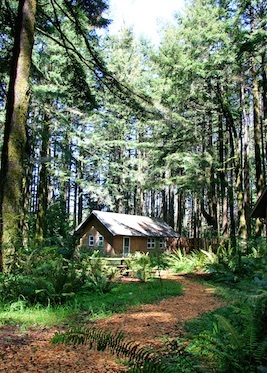 This small, eco-friendly resort on a wooded hilltop outside of Port Orford features five cabins equipped with massage tables, aromatherapy soaps and shampoos and flat screens for movies only—no TV reception (cell service is available with some carriers, and wifi is accessible throughout the property). A breakfast buffet is offered in the guest hall. WildSpring’s owners, Michelle and Dean Duarte, created an experience that they would like themselves—no slamming car doors or people tromping around in a room above you. “People who come here say they feel like they’re on a different planet,” Michelle said. While you’re in Port Orford, be sure to stop at the Hawthorne Galley, which might seem more fitting for Portland’s Pearl District than on a patch of highway along the southern Oregon Coast. Owned by members of the Hawthorne family, the gallery displays work by seventeen artists, nine of them related. The gallery also represents Albert Paley, a renowned metal and steel sculptor whose work is found in major museums in New York, Boston and London. The oceanfront property includes an impressive array of sculpture (inside and out), blown glass, paintings, pottery and jewelry. Chris Hawthorne, one of the owners, said that Highway 101 brings every demographic by his door. In the twenty years since it opened, the gallery has earned a reputation among collectors worldwide. In 2010, the Hawthornes opened the Redfish Restaurant adjacent to the gallery. The menu evolves with the season, and the cooks create new dishes from sustainably harvested fish and organic greens from local farmers. Redfish has a full bar, indoor and outdoor seating and a view of the ocean. If you and your partner are looking to go straight from a table for two to luxury sheets in a stellar setting, reserve the Redfish Loft above the restaurant. Please note first photo is of Bandon Beach. As a native of Oregon for some 80 decades, I never get enough of the Oregon Coast. I think it’s something in my blood. While growing up we made frequent trips to the Coast. 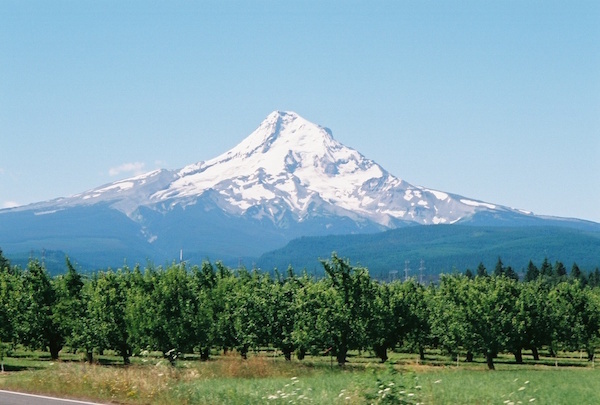 Having lived in the Willamette Valley all my life it’s so great to go often. Never a dull time!!! The recent storm was as good as the great weather has been all summer. We , who live in Oregon, are truly blessed. The picture of the golf hole is #4 green at Bandon Dunes, with the 5th fairway in the background. 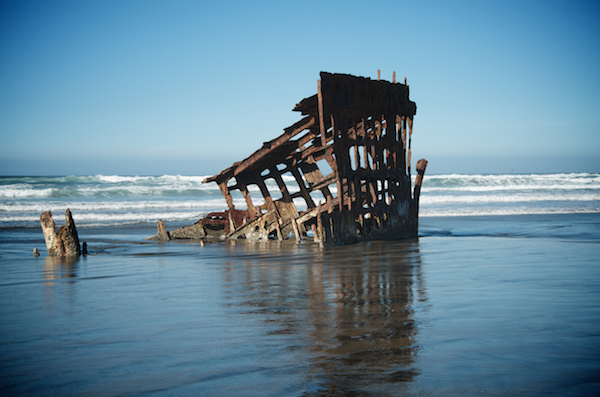 Enjoyed your list of 6 Romantic Trips for 2 (on the Oregon Coast). You had some wonderful ideas. 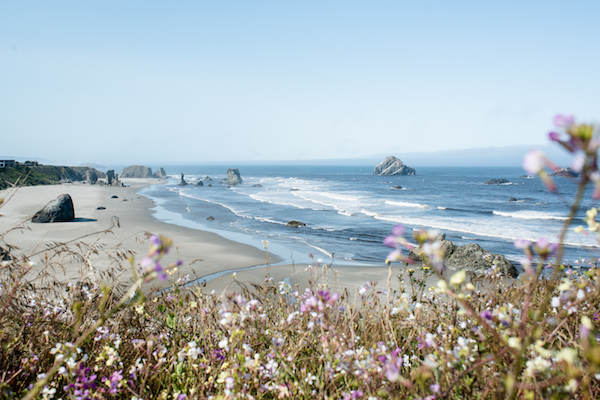 Being on the north coast, we especially love Astoria and Cannon Beach. One of the Marine Reserves you forgot to mentioned is a new addition – Cape Falcon Marine Reserve on the north coast, south of Cannon Beach. The area is absolutely fabulous and scenic. And not far from the charming community of Manzanita, which is also a romantic destination for couples! You need INN AT THE SPANISH HEAD in Lincoln City on your list. My favorite.